A radar chart or spider chart allows plotting of multivariate data. http://en.wikipedia.org/wiki/Radar_chart. Angular Gauges such as the ones on http://www.fusioncharts.com/widgets/gallery.asp (in the top group). This would allow people to writing financial systems or any kind of alert type of systems to monitor how far away they are from a goal or how close they are to triggering alerts. Prime example is in the financial world: You set a Budget of $100,000 with a $20,000 threshold for a project, the gauge stays in the Green zone when spendings are below 100k, when its between 100 and 120 it is in the yellow zone (e.g. time to be concerned) and above 120k it would hit the red zone and all hands on deck. That´s just one example of how useful that would be. Available as indicators for Highstock. Full stock charts like the Google Finance charts, with scrolling, panning and master-details navigation. Logarithmic axes were completed as of Highcharts 2.2. Please allow navigator to hold multiple data series. I had a request recently to convert a very large data set into separate categories, so that they could be deselected via the legend, but now I don't get the set represented in the navigator window, because it only will hold one series. And with large data, building one composite set will be too much overhead. 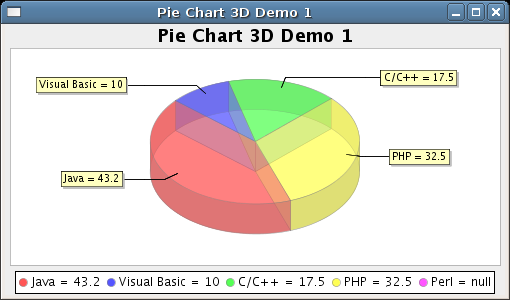 Implemented with Highstock 5, see http://www.highcharts.com/docs/chart-concepts/navigator. Can you work on Funnel Charts ( like here: http://www.fusioncharts.com/widgets/gallery.asp#funnel )? Those are very helpful to chart processes, sales performance etc. Allow groups of series so related/paired series could be turned on and off together and group together in the legend. Completed as of Highcharts 3.0. Series can now be paired through the linkedTo option. See http://api.highcharts.com/highcharts#plotOptions.series.linkedTo. Before voting on this feature, please make sure you understand that this does not apply to irregular data, but irregular axis. Specifying irregular data intervals is straight forward. See http://highslide.com/forum/viewtopic.php?f=10&t=9222. This feature is completed as of Highstock 1.1. In Stock charts it is enabled by default and can be disabled by setting xAxis.ordinal to false. In basic charts it can be enabled by setting ordinal to true. The values in a two dimensional matrix are represented as colors. Allow clipping of the axes and add a scrollbar to navigate the data. It would be great to have an automatic line break for long titles and/or long legend labels and an auto shift of the other chart content. It should be possible to remove sufficiently long empty time spans, such as nights and weekends, from the datetime xAxis. This is currently possible by using the "ordinal" feature, but in that case you need to have an evenly spaced time series (for example, sampled every minute or every hour). Skipping empty time should also be possible for an arbitrarily timestamped time series. A simple way to implement this would be to set a time threshold. If this threshold is exceeded with no new points, the axis is cut and resumed from the next data point. A Venn Diagram chart would be excellent. Nice and simple like the Google Charts API Venn, but with the usual HighCharts polish , tooltips, legends etc.